KFC India announced the launch of add HOPE, a program that aims to fight hunger in the country with the launch, KFC hopes to create awareness and raise funds to provide meals to India's underprivileged children through World Food Program (WFP), Akshaya Patra Foundation and India FoodBanking Network (IFBN). Together with these organizations, KFC aims to provide 20 million meals to underprivileged children by 2020. The program was launched by Managing Director KFC India, Rahul Shinde who presented Rs. two crore to the World Food Program (WFP) and Akshaya Patra Foundation. Commenting on the launch of add HOPE Managing Director KFC India, Rahul Shinde said, "We are a food company and it's our privilege and responsibility to address the issue of hunger where millions of children go days without a proper meal. One in four children in India is malnourished and consequently, facing greater obstacles to reaching their fullest potential. Through add HOPE we want the children of our country to be given access to nutritious and balanced meals in order to grow and learn, so they can be their best selves." Starting May 16th, consumers can feed a hungry child by adding five to their bill, each time they visit a KFC store. KFC employees in the 300+ restaurants around the country will also support local communities through volunteerism. Rahul Shinde flagged off the KFC add HOPE truck that will travel across the country distributing food grains at IFBN feeding sites. At Hyderabad, the truck was loaded with food grains donated by KFC employees and Kohinoor Foods Limited. Dr. Hameed Nuru, Representative and Country Director, UN World Food Programme India, added, "WFP's collaboration with the KFC add HOPE aims to highlight and drive action in the movement towards ending world hunger. A valued and collaborative partnership, it has been critical in addressing the challenges in India and also highlights the significant contribution that the private sector is making towards food and nutritional security through CSR. The WFP global and India family wishes to acknowledge and appreciate the contributions being made by this partnership, and sees it growing stronger and reaching out to more and more children with every passing year." Sundeep Talwar, CMO, Akshaya Patra Foundation said, "As an organization, we strive to fight issues like hunger and malnutrition in India. Our partnership in the past has garnered critical support for deserving children and we believe add HOPE program will further help address the hunger challenge successfully." "Our mission to provide food to India's underprivileged echoes with KFC's add HOPE initiative. 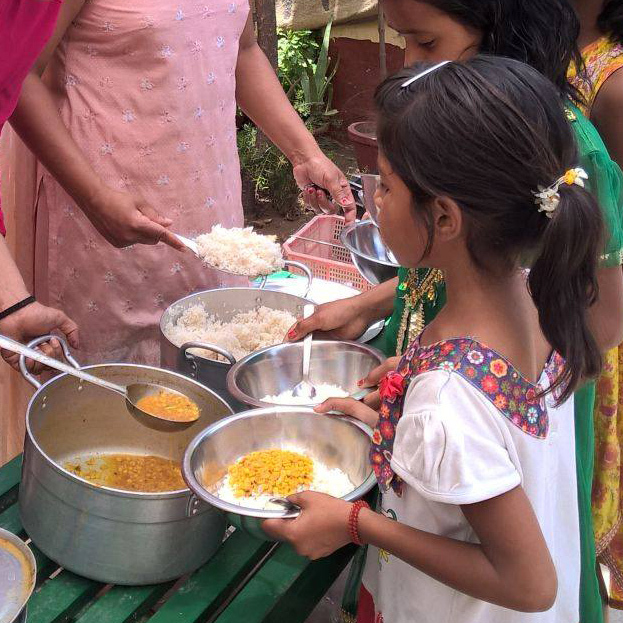 We share a common vision for eliminating hunger, and are confident that this partnership will contribute to sustain the food banking movement in India," said CEO Food Security Foundation India, India Food Banking Network, Vandana Singh. With an aim to provide 20,00,000 meals during the first year itself, KFC will kick off its collection drive across the country, starting May 16th, 2016.